Genuine Italian calfskin lined with soft glove leather. 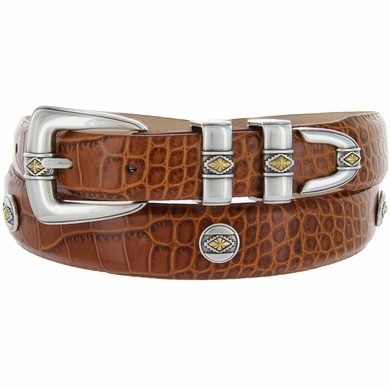 Sterling silver Buckle set with double loops is accented with 5 Gold Diamonds conchos. 1 1/8" wide tapering to 1" wide. This items "in stock" ships same or next business day after your order.